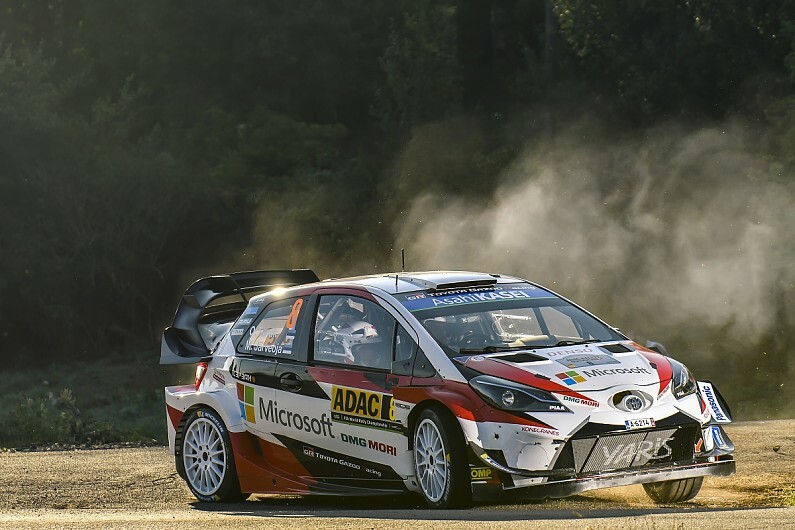 Toyota’s Ott Tanak swept the three stages of Rally Germany’s Friday afternoon loop as World Rally Championship title contenders Sebastien Ogier and Thierry Neuville fell away from his lead. Tanak won every one of the three stages run in the afternoon to extend his lead to 12.3 seconds over Ogier, who continually finished a distant second to the Estonian. The current WRC champion grew into a lonely second place by consistently outpacing Neuville and opening up a buffer of over 15s to third place. Neuville showed no ill effects of a turbo-related oil leak that forced him to stop his Hyundai for checks between stages in the morning. 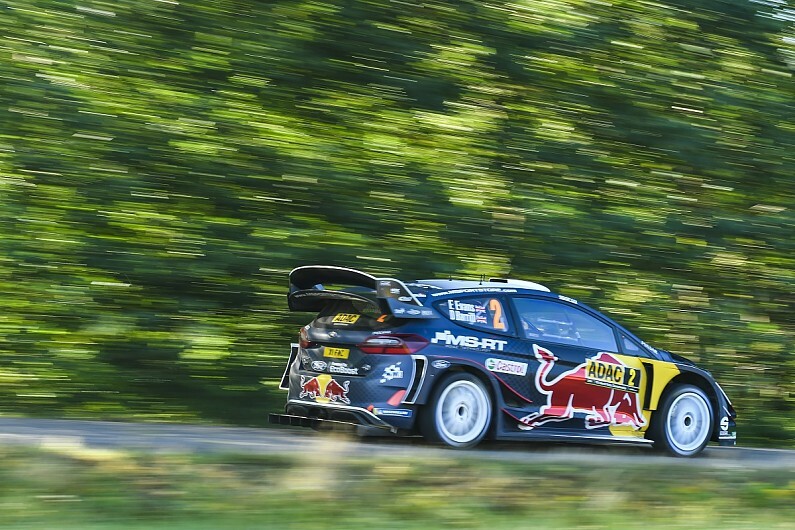 The leading trio were regularly in a class of their own, meaning Rally Germany’s main excitement came in the battle for fourth. M-Sport Ford’s Elfyn Evans holds fourth overnight by just one second, building on his morning loop’s performance and doubling his gap to the chasing Jari-Matti Latvala on the final stage. While Latvala did not make any positions up in the afternoon, he grew in confidence after tweaks to his front-differential set-up allowed him to have greater confidence in his Toyota. That helped him remain clear of Hyundai’s Dani Sordo, who spent much of the afternoon swapping time with Toyota’s Esapekka Lappi. Sordo held sixth by just over one second as Lappi again admitted to being scared of finding the limit on Germany’s asphalt. Eighth overall was another hotly contested bout as Craig Breen edged out Hyundai’s Andreas Mikkelsen by just one second, with the Citroen driver’s strong run to sixth in the Mittelmosel stage crucial to that result. Teemu Suninen was 10th as Mads Ostberg lost swathes of time after Citroen erroneously replaced his front bumper and compromised the air intake for his engine.